Insulin pumps, injection materials, prospectuses, medical products all turned into artwork combined with Sümerbank fabrics. Asst. 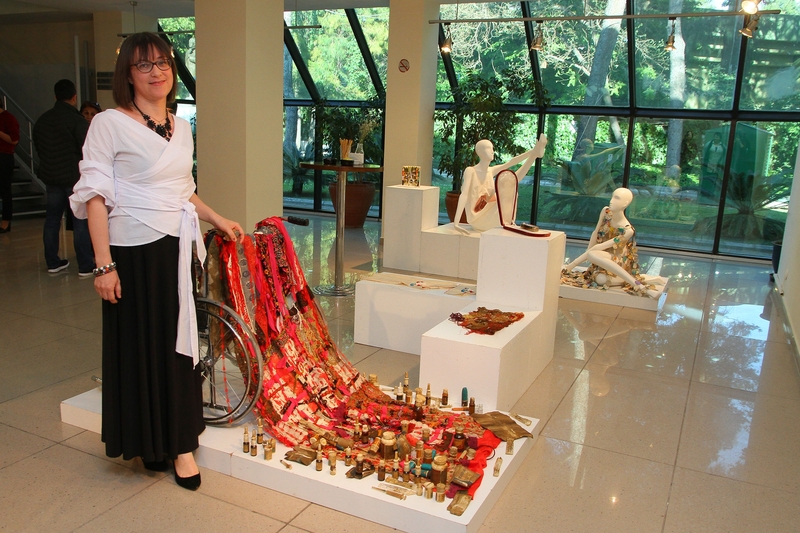 Prof. Dr. Dilek Himam Er, Lecturer at IUE Department of Fashion and Textile Design, Faculty of Fine Arts and Design, who prepared the exhibition titled, “3 Dosage in a Day”, inspired by medical products regularly used by diabetes patients to control their blood sugar, reconciled the disease with art. The exhibition will stay open until May 2 at Izmir Sanat. Asst. Prof. Dr. Er said that diabetes patients need to use insulin pumps and medication every day at regular intervals, and that she came up with a peace-making process with the disease. Er placed insulin user guides on clothes and textile surfaces, placed descriptions on embroidery frames, and designed clothes out of insulin pumps. “Diabetes patients need to monitor their insulin levels. This may be a long and difficult process at times. I combined insulin pumps, injection materials, and prospectuses used by diabetes patients with Sümerbank fabrics to create variety of products such as old pictures, medical materials, used medicine boxes, needle disposals, insulin pump reservoirs, gauzes, torn clothing pieces, etc. 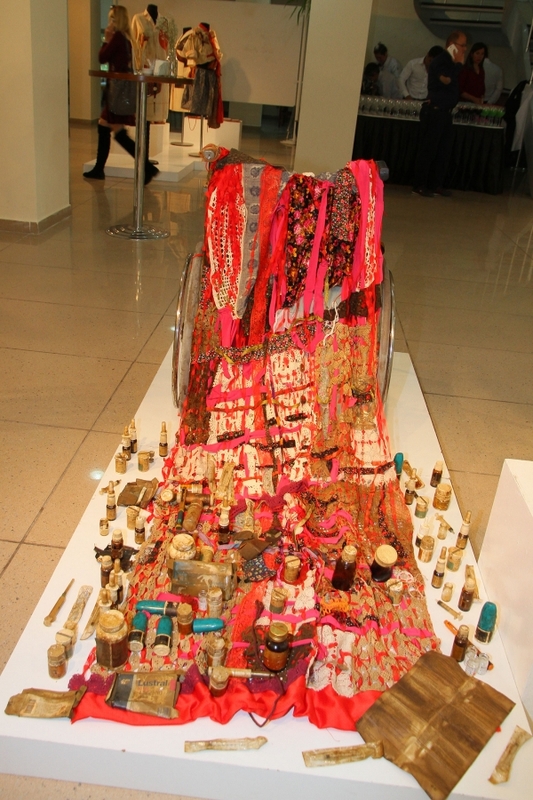 My work tells about peace-making process of individuals fighting diabetes,” said Asst. Prof. Dr. Er.